Greece achieves liberation from the Ottoman Turkish Empire in 1821. Count Ioannis Kapodistrias is elected as the first governor of the independent Greek nation, after the Trizina National Assembly, in 1827. 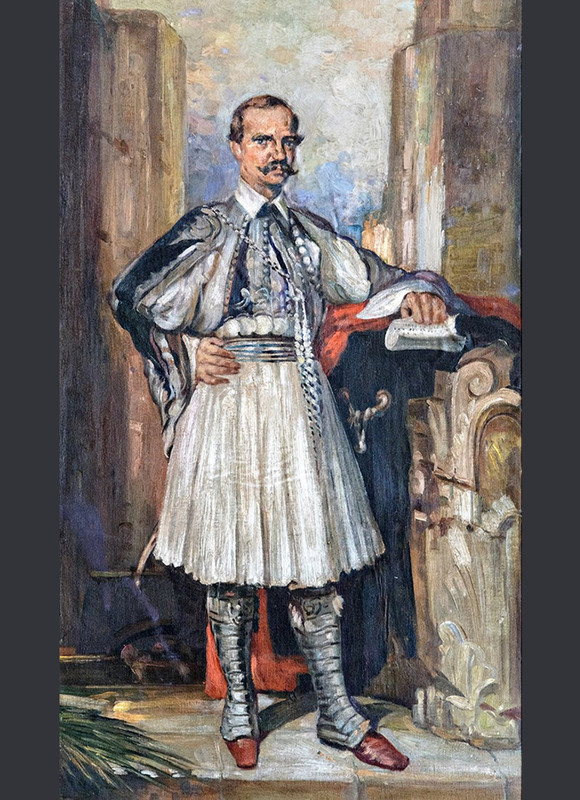 As head of state of Greece, he proceeds with crucial changes for the advancement of the state, as well as the enactment of the state legal system in order to restore law and order. Moreover, he reorganises the military forces under united administration. His reforms and measures, along with his effort to boost the country evoked feuds that concluded to his assassination in Nafplion , on October 9, 1831. 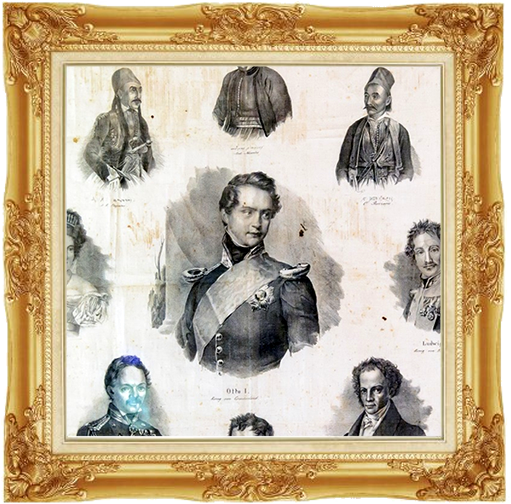 In 1832, the Bavarian Prince Otto was elected King of Greece, after Leopold 1st ( son of Francis, Duke of Sachsen-Coburg-Saalfeld) had turned down the position of the first king of Greece that was offered to him. He became king of the newly founded kingdom of Belgium, instead. Otto’s parents were the Crown Prince Ludwig 1st of Bavaria and Therese, daughter of the Duke of Saxe-Hildburghausen. On January 25, 1833, at the age of 17, Otto disembarked from the British frigate “Madagascar “ , in Nafplion, amid cheers of the crowd, with the three members of the Bavarian Regency( which was planned to rule until Otto reached majority in 1835) and 3,500 Bavarian troops as his army, gradually filled with “ volunteers” (the majority of them were Germans). In 1837, he was married in Germany, to the duchess Amalia (Amelie) of Oldenburg( 1818-1875) without having informed the government. They didn’t manage to have any children. During his reign, he decided the moving of the capital of Greece, from Nafplion to Athens, where the royal couple settled. Until the completion of the building project for the Athens Royal Palace , made by Otto and his father Ludwig, Otto and Amalia temporarily lived in a house, which is now the Old Parliament on Stadiou street. Afterwards, they moved in the building which is now the Museum of The City of Athens. The interior of the Royal Palace was not completed even until the exile of the first royal couple of Greece. 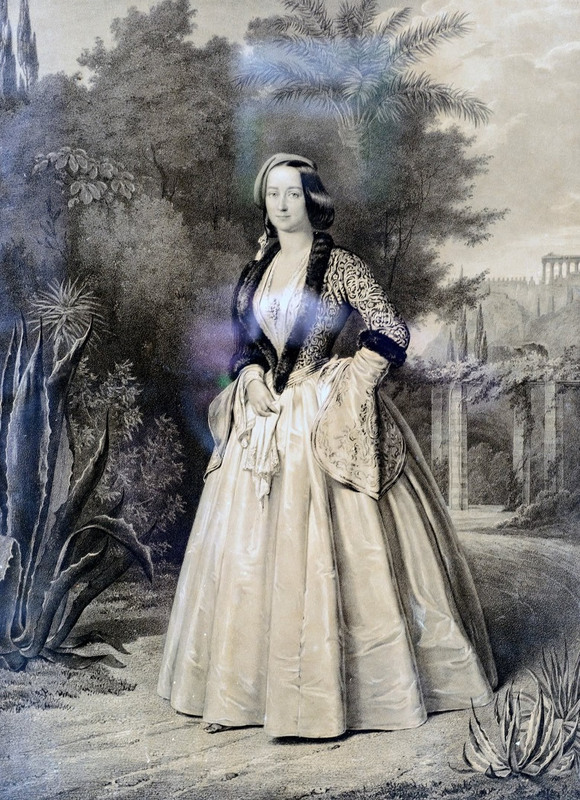 Throughout the reign of her husband, Queen Amalia gave prominence to the redevelopment of the green spaces in the city and particularly, the creation of the Royal Gardens of Athens. Before finishing the formation of the Royal Gardens, she decided to purchase a vast area of land in the north of Athens, near the contemporary municipality of Liosia. The rich valley of Kifisos river had an excellent climate. 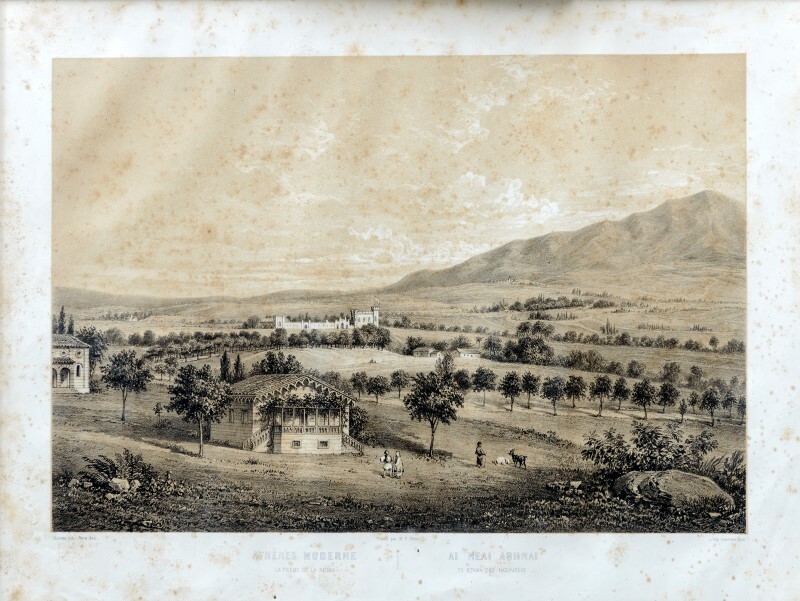 The estate of Ilion was originally a Turkish property( tsifliki), which was consecutively transferred to Greek owners and afterwards, to two English men, John Williams and George Myles, who planted grapevines and fruit trees, created farm plantations and built new , auxiliary spaces. The eventual area of the property reached the 250 hectares in 1861. A model centre of farming, agriculture and husbandry was created. 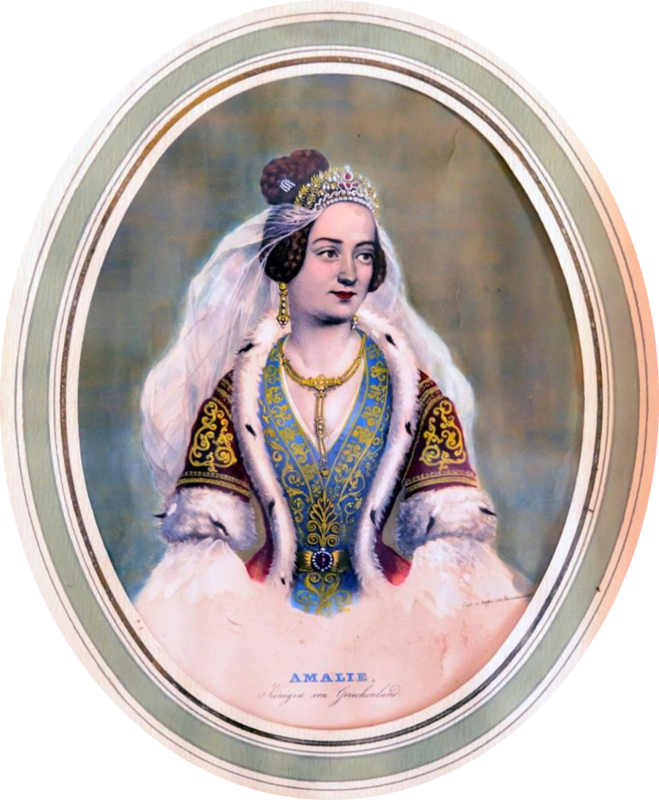 Bearing in her mind, the “Great Idea” ( the idea of the liberation of the entire nation of Greeks worldwide), Amalia was deeply influenced by it and ordered the manufacturing of an artificial hill in 1857, along with the six natural hills located in the farming area, so that it reminded the alter name of Constantinopolis( Istanbul ), “Eptalofos” (Seven Hills). Eptalofos was the name Amalia used for her agricultural property. She gave the hills names of the Argonauts, deriving from the greek mythology ( Jason, Poludeukis, Kastor, Thiseus, Hercules, Horfeus, Pileus). The Queen’s Tower is the royal villa that was built in the place of a previous tower. The building depicts gothic style and was replicated according to Ηochenschwangau in Bavaria where Otto was born. The two buildings share a lot in common, despite their significant difference in size. Their similarities start from the external features ( polygonal towers, ramparts, arched windows), continue with the portal of the entrance and extend to the interior, with the spaces inside, the furniture and the small ornaments. The architect of the Tower still remains unknown. There is a possibility that it is the work of Francois Florimond Boulanger or of Theofil Hansen. It is considered a unique monument of new-gothic architecture style in Greece. The tower of the Eptalofos Estate was inaugurated on 13/25 August of 1854, on King Ludwig’s (Otto’s father) birthday. Amalia wanted to please and honour her father-in-law, whom she loved dearly, with this action. He had already been forced, since 1848, to resign his throne because of the infamous scandal concering Lola Mondez. A grand ceremony was held in the royal dining room, where the Prime Minister Mavrokordatos, the ambassador of Austria and other officials attended, among others. The portal of the building is monumental since it resembles a castle with its ramparts and side smaller towers in gradual forming. The main room of the Tower, which depicts elaborate decoration, held a prominent status concerning the organization of banquets. The enhanced blue ambience of the walls and the ceiling, with the golden geometrical decoration, the wooden floor made from various kinds of wood according to the Munich School style, the golden, blue and red ornamentation, the small furniture and the lightning devices of absolute gothic style, emphasize Amalia’s wish to feature a romantic decorative tendency. Eptalofos, the estate that was created through care and fondness by Amalia didn’t seem to thrill Otto. After the royals were exiled, the government declared the estate as public property. The management of which was assigned to the Ministry of Finance, that delivered it afterwards to the new king, King George. 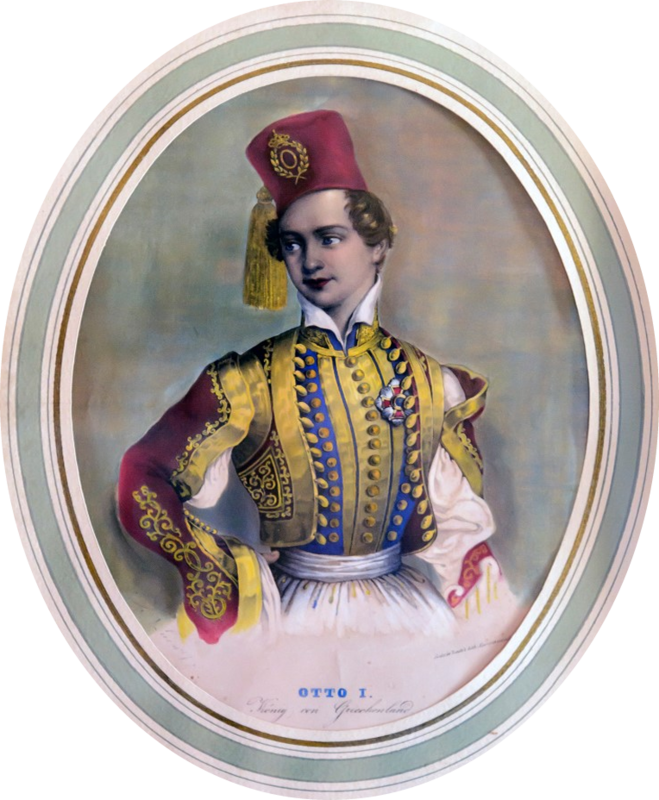 In 1863, Otto was given the estate once again, as proxy. 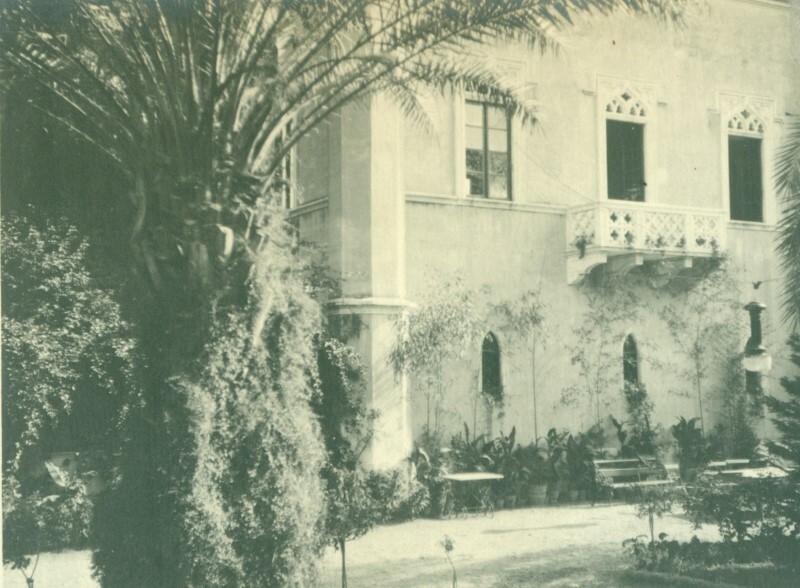 Following his death, the estate was purchased by baron Sinas and after that, it was sold to George Pachis ’s family. Next, it passed on the Serpieri family (Lavria, one of George Pachi’s two daughters, was married to Fernando Serpieri). 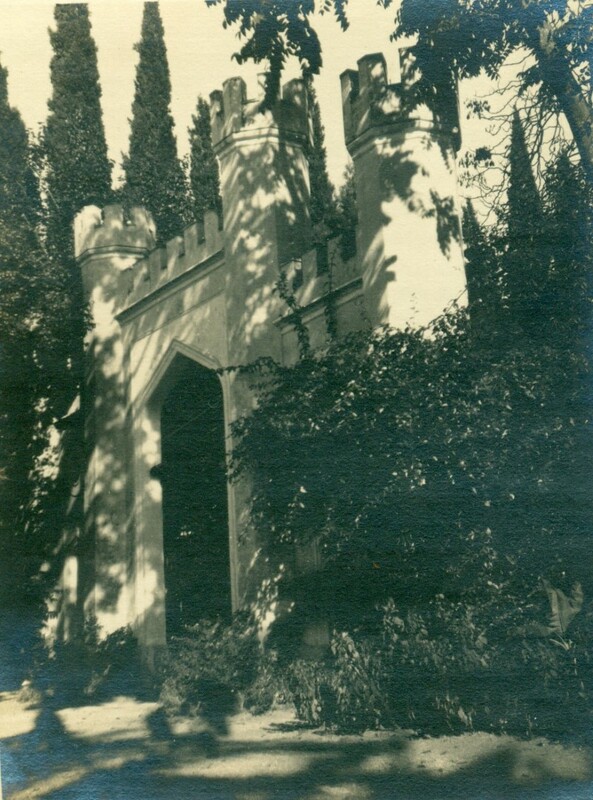 By an interwar law, which forbade the existence of very large real estate, the Serpieri family was forced to offer the largest part of the estate to the Greek public and maintain only an area of 25 hectares, inside of which the Queen’s Tower stands to date. The biggest part of the estate belongs to the Environmental Awareness Park Antonis Tritsis, today. The estate of the Queen’s Tower is, nowadays, a property of the Agricultural Commercial Company of Ilion S.A.
Queen Amalia’s aim was, as mentioned by Maro Kardamitsi-Adami in her book “ Palaces in Greece” (Melissa publications), the creation of a farm, a model agricultural unit. There was a tendency at that time for the formation of large estates. The European rulers who originated directly from the feudal lords had always a very good relationship with the land. The ground floor occupies a grand reception hall and the royal bedrooms, whereas on the first floor there is a big hall with the symbols of Greece, Bavaria and Oldenburg upon a vivid blue background with golden details. The ceiling paintings are also remarkable, in blue, red and gold patterns, while the marquetry (made from different kinds of wood) on the floor exhibits the style designed by Gärtner for the palaces of Athens and Klentze for the Munich palaces. 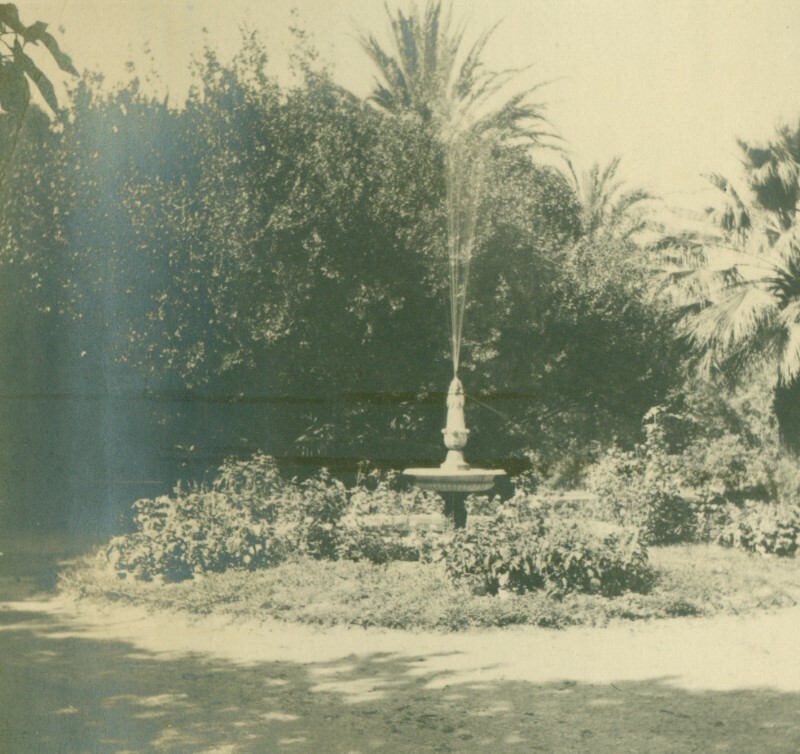 The closest surroundings, green, with the palm trees dominating the scenery, is decorated by statues in romantic style, sarcophagi and a fountain. Some other impressive facts : the tower never disposed a bathroom or a kitchen. Those could be found in the nearby buildings, which still exist to date , as well. It is rumoured that Amalia never spent the night in the tower, but preferred a smaller building instead. 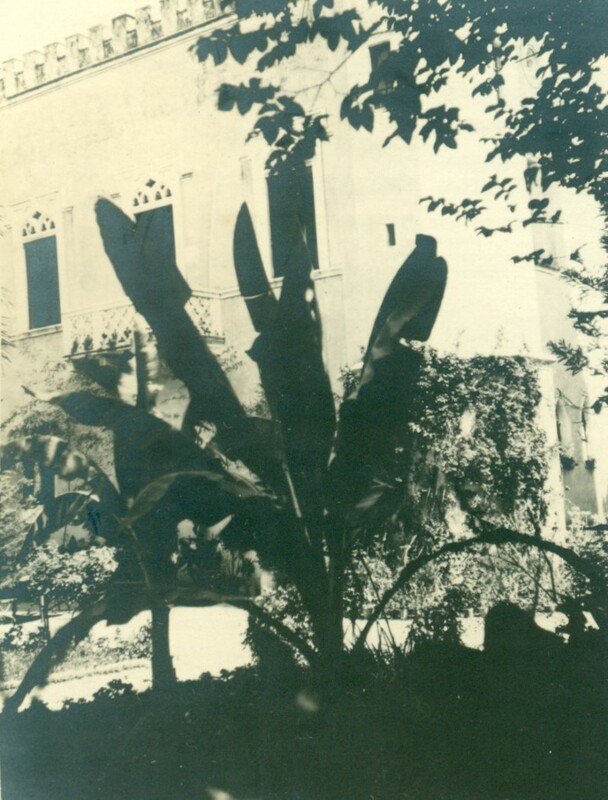 The main tower was useful only as a reception hall. Otto wasn’t very fond of the tower and therefore the queen visited it by herself.